…and if you put notes in your Love & Relationship sector of the bagua, you will really feel the activation of these love notes! 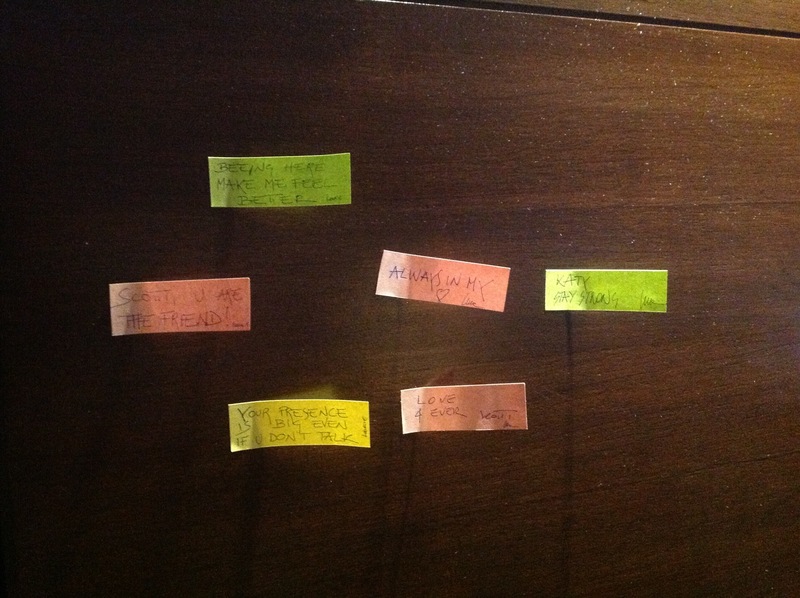 Luca left these stickynotes all over the room for Scott the morning he left us. He realized Scott couldn’t get up to see them but his desired intention was to recreate a Scott Morgan experience. 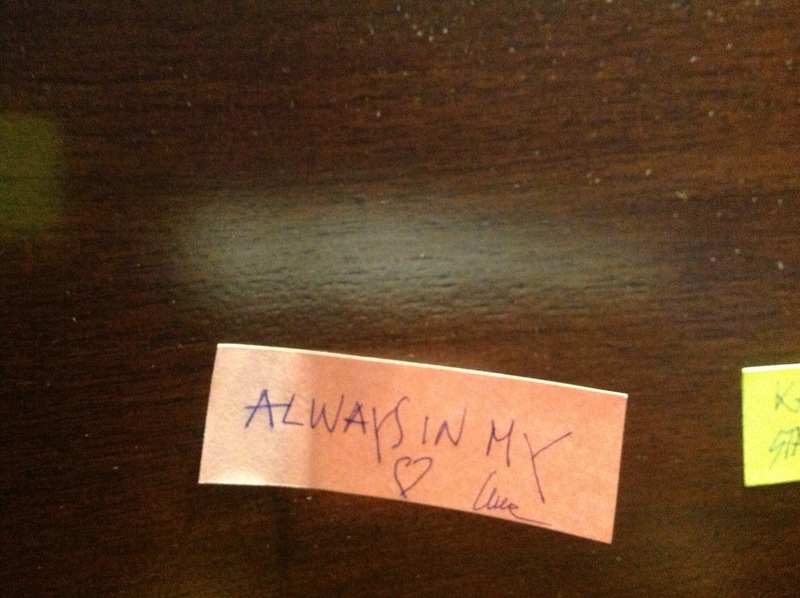 You see, I was delighted to discover that Scott used to leave love notes all over Luca’s house whenever he visited ( in odd places to be discovered later on at unexpected moments, to bring a smile and a rememberance). Scott always does that for me, too. I find them in my car, my wallet, books, on my computer, in my suitcase, my bathroom mirror…..love notes from Scott. Enjoy these love notes TO Scott, left by Luca. And take note: this is a beautiful way to share love and romance with the one you love!